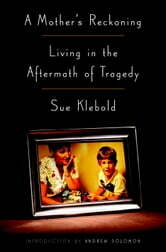 The acclaimed New York Times bestseller by Sue Klebold, mother of one of the Columbine shooters, about living in the aftermath of Columbine. Filled with hard-won wisdom and compassion, *A Mother’s Reckoning *is a powerful and haunting book that sheds light on one of the most pressing issues of our time. And with fresh wounds from the Newtown and Charleston shootings, never has the need for understanding been more urgent. By far, one of the hardest books I have read in years. Sue, the mom of high school shooter Dylan Klebold (Columbine) moves through her emotions, first as a concerned mom of a student whose school is under gun fire (recall the media coverage, the dawn of a new day in April 1999), to a mom coming to terms that her son was an unwilling participant (not true), to coming to terms with his active participation in the event that left 12 kids and a teacher dead. Originally planning to bomb the school, when it doesn't happen, the two boys go in armed and changed, forever, the feeling of safety with classmates. Sue has to come to terms with missing warning signs (hiding in plain sight, as they say), warning signs professionals miss everyday. While the marriage didn't survive, she stayed in the community and lives with the grief every day. The book seems to be written as an apology, as a warning letter and as an act of charity (as the world struggles to identify at-risk kids) - with proceeds going to suicide prevention. She has to come to terms with her son seemingly planning for the future, and ultimately knowing he was plotting devastation and his own suicide. As noted, hard to read. I was in tears more than once. Worth the investment of time, but be prepared for eye rolling, anger, sadness, resignation, hope for the future and a pile of tears. This was an interesting book. It takes you through all ranges of emotions. There were times when I felt so incredibly sad for her and there were other times when I felt like she was playing the Martyr. She was definitely defensive in parts and I totally understand that. This book was also terrifying to me, because she was like every mother out there. She raised her 2 sons in a loving home and felt like she and her husband were vigilant in taking care of their children. She didn't see any signs leading up to the mass shooting and suicide. She felt like she would know if there was something bothering her children and could tell if they were lying. I think every mother feels that way. In the aftermath there were many people she talked to that all said they would have also missed the signs. Dylan had been seeing a counselor and he knew exactly what the counselor wanted to hear so that was what he said. This book is definitely enlightening and addresses the needs for better mental health education and assistance. This book is a moving dedication to the love of mother to son. 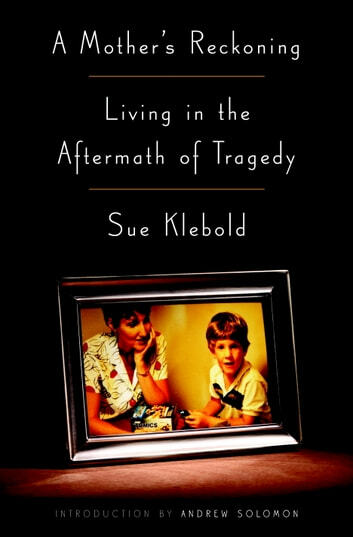 Sue Klebold opens up about her son, Dylan, in a way that is touching and heart wrenching. She also exposes herself in snippets taken from her journal in a time where shock and heartache are palpable. Its also a wonderful tribute to the families who lost children in the wake of Columbine. This book is remarkable. Heart wrenching on so many levels. So honest and raw. A must read for moms.